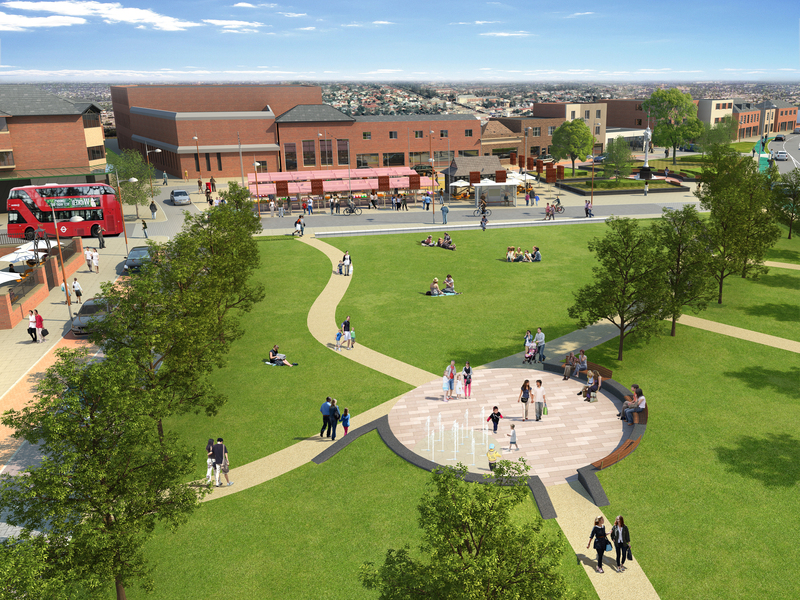 Residents and visitors to Mitcham will notice some changes in 2015, as the first phase of a project to rejuvenate the town centre gets underway. With stunning landscape features and plans to attract more businesses and shoppers, there’s a lot to look out for. Mitcham has suffered the same decline seen in town centres up and down the country. The growth of online and out-of town shopping, coupled with changing lifestyles, has led to fewer visitors and empty shops. And while pedestrianisation schemes often benefit high streets, in Mitcham’s case this has led shoppers away from the main drag. 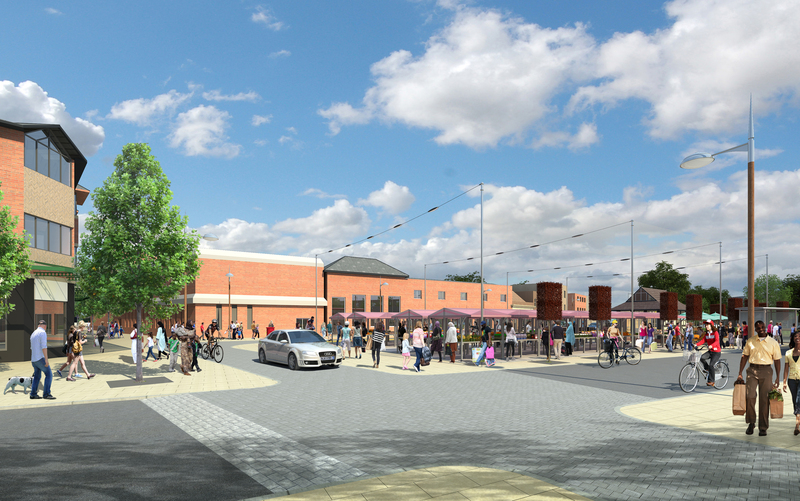 The £6m Rediscover Mitcham project launched in 2012 with £1.5m in funding from the council and additional cash from Transport for London and others. It aims to reverse Mitcham’s decline, putting it back on the map as a destination worth visiting. Two rounds of consultation have seen resounding public support for the improvements, which begin in January. While Mitcham has its fair share of open space, its greens don’t always feel as accessible or attractive as they could be. Fair Green is having a landscape overhaul, with a new water feature and benches. Trees are being planted and the area will be framed by striking granite walls. There will be high quality paving around the perimeter and better lighting too. At present the market looks shabby and is dominated by traders’ vans. Improvements will create a dedicated market space with a tidy new layout and better facilities including power and water supplies. Road improvements are a big part of the Rediscover Mitcham project and Transport for London is currently considering two major traffic schemes. The existing pedestrianisation of part of London Road means that people using buses have to make a conscious effort to visit Mitcham’s shops and in most cases they don’t. It is proposed that the road would be opened up to buses to bring more potential customers right to the shops. Subject to approval, four of Mitcham’s busy road junctions would also be improved, making them safer and more pleasant for pedestrians. The main junctions at London Road, Upper Green West, Holborn Way, St Marks Road and Raleigh Gardens would be redesigned to increase pedestrian space, simplify crossings and provide new cycle lanes. The number and quality of shops in Mitcham was a concern for residents who responded to the consultation. While the council can’t open new shops, there are other ways to improve what the town has to offer. A task force of shopkeepers, councillors and the police is looking at some of the issues that have blighted the town’s reputation, including litter, fly-tipping and street drinking, and at how to best help retailers compete in the modern marketplace. At the same time the town’s big namestores are improving the environment by tidying the areas outside their shops and providing litter bins. Existing small businesses are being offered support – from help with windowcleaning to advice on boosting their social media presence. 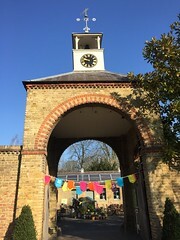 And a programme of events including one-off food and craft markets has been encouraging people to take a fresh look at Mitcham. There’s also free help to refresh shop fronts, with funky new designs as part of the package. A number of independent shops, from a launderette and optician to an African supermarket, have already taken up the offer with more to come. All these exciting changes will be happening over the coming months, with the jewel in the crown being the beautifully restored Mitcham clock tower. We’ll be returning the town’s iconic clock tower to its former glory, thanks to a council bid for £45k in Heritage Lottery funding. The clock will be repaired, the tower renovated and moved to a more visible location and its historic gas lamps will be restored. Keep up to date on progress by visiting http://www.merton.gov.uk/rediscovermitcham or calling 020 8545 3837. Relocation and renovation of the historic clock tower to a more visible location. A formal market pitch area with better facilities such as power, lighting and water. New landscaping of the green to include a water feature, high quality granite walls and benches, planting and new trees. Repaving of the perimeter road in high quality materials. A new bus street going through the Fair Green and up London Road to help bring life to the High Street. Increase in pedestrian space and improved crossing facilities. Better cycle paths and facilities.